Buying a new house, especially if it’s your first property purchase, can be exciting. At the same time, it can also be stressful if you still haven’t determined how to pay for it. To help you come up with a decision, we’ve listed some of the financing options available for homebuyers like you. The ideal way to finance your new house is to save for it. However, paying cash for the full cost of a house rarely happens. Coming up with the amount you need to buy a house in Dublin or elsewhere in the country may take several years. In fact, on the average, it takes at least two years for homebuyers to raise money for the deposit of a house. So, unless you have a job that pays really well, it might be best to explore other options which can help you secure your dream house ASAP. The most popular option when it comes to financing a house is getting a mortgage. What is a mortgage? Paid over several years, it is a loan given for the purpose of financing the purchase of a house. You can apply for a mortgage at a bank or a local authority. As this is a secured loan, the house you are purchasing serves as the collateral. Hence, you run the risk of losing your house if you fail to pay for your loan. How much can you borrow? The Central Bank of Ireland has set limits as to how much financial service providers can lend. There are two types of limit: Loan-To-Income limit (LTI) and Loan-To-Value limit (LTV). In LTI, the maximum amount first-time buyers may borrow is 3.5 times their gross annual income. This limit only applies to loans for personal dwelling homes (a house you’re going to live in) and not to loans for buy-to-let properties (a house you buy then let to other people). Meanwhile, for first-time buyers of personal dwelling homes (PDH), the limit on the LTV ratio is 90%; for non first-time buyers of PDH, the limit is 80%. While borrowing a large amount can be tempting, it’s something you must only go for after carefully assessing your current and future financial capability. 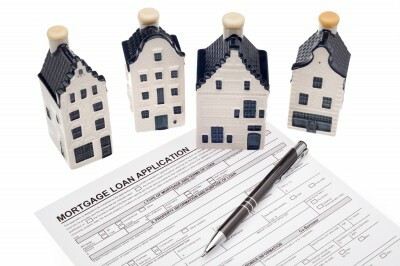 Also, lenders offer a diverse selection of mortgage rates and products. It would be wise to shop around first before choosing a particular commercial lender. Experts also advice that, prior to viewing houses, you must first find out how much prospective lenders are willing to lend you (referred to as approval in principle). With this information, you know how much you can spend on a house. Consequently, this can make your search easier as you can now give the estate agent the price range of the property he/she should show you. There are government programs which aim to help people purchase homes. One of these programs is the Help-to-Buy incentive which is specifically for first-time buyers of newly built houses. Its aim is to help first-time buyers finance the deposit of their target house through an income tax rebate. This program covers purchases from 19 July 2016 to 31 December 2019. Meanwhile, if you’re a first-time buyer who’s unable to get a mortgage approval from commercial lenders, check out Home Choice Loan. Provided nationwide by four designated Local Authorities, it can let you borrow a maximum of €285,000 or up to 92%of the property’s market value. Planning to purchase a new house in Dublin? Call us today 01 4959020 and get recommendations from our highly professional estate agents.